A radical innovation in the Islamic world has arisen in Morocco - women preachers. 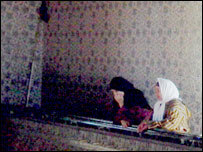 The Mourchidat, as they are known, are the first women ever in any Muslim country that can perform the functions of a male Imam in a mosque, except lead the prayers. Fifty Mourchidat have graduated and have now begun their ministries. However, not everyone agrees with the new appointments. The Mourchidat will be allowed to lead religious discussions and give advice in their communities - particularly to women. The only thing they will not be able to do is to lead prayers. That role will still be reserved for male Imams. In the courtyard of Rabat's biggest mosque - the Sunna mosque - I spoke to Khadija al-Aktami. She is one of the newly qualified Mourchidat. I asked her why she thought women would be well suited to this new role: "Women make good preachers because God has made them more sensitive, merciful and more patient than men! A woman is a mother, a wife, a daughter and a friend, so she will perform well in this role. Besides, no one can understand a woman as well as another woman." May 16 2003, like September 11, is a date etched in people's minds and synonymous with terror in Morocco. Forty-one people died in a series of suicide bombings by Islamic fundamentalists in Casablanca. It was partly in response to the Casablanca attacks that the Moroccan government introduced women preachers - to promote a more liberal brand of Islam and to counter radicalism. The Minister of Islamic Affairs, Ahmed Toufiq says the Mourchidat programme was necessary to maintain a healthy society as a preventative measure against terrorism. "Society is like a human body and the body needs to be looked after: it needs to be fed and its health has to be preserved," he said. "Terrorism is the extreme example of a serious illness in society. You cannot leave a body until it gets into a crisis. You have to feed the body to avoid it falling into a state of crisis and disease. There are all sorts of measures you can take to prevent a crisis and this is one of them. There is an obligation to do this as a means of prevention." Abdelwahed Motawakil, is the secretary-general of the outlawed Islamist movement, Justice and Charity. His office is constantly being watched by the secret police. 'Justice and Charity' is highly critical of the establishment and is calling for the Moroccan monarchy to be abolished. It also believes that the new women preachers are just instruments of government propaganda. "If you take the idea in the abstract, I must say that it's an excellent idea, because it gives an opportunity for women to participate in an area that has been monopolised by men," he said. "But if you look a little deeper and analyse the motives, you will find out that it is part of a strategy adopted by the regime to control the religious field and not to leave that field open for their opponents - the Islamists. So they want to control that area and convey their official view of Islam." 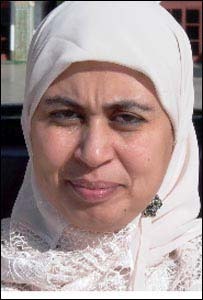 Khadija al-Aktami is just starting on her new career as a Mourchidat but some of her colleagues will not be joining her. They have been discovered to be supporters of Justice and Charity - something that will be viewed as a major embarrassment for the Moroccan government as it tries to combat Islamic extremism.